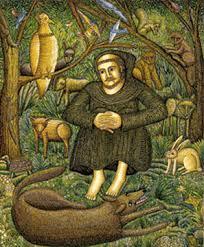 St. Francis is the patron saint of animals. On Sunday, October 2nd, thousands of people and animals of every type gathered at New York’s Cathedral of St. John the Divine for the saint’s feast which includes the annual Blessing of the Animals. It’s a hoot, or, more correctly, a yowl, bark, snort and whinny. There were lots of incredibly well-behaved dogs (and a few cats) in attendance, each sporting a red carnation. Zoe, a Cavalier King Charles spaniel sat quietly behind us; down the row a large lab wagged herself silly; everyone smiled benignly at the occasional outbreak of barking. During the event, I had several sneezing attacks which my friend insisted was a coatimundi allergy. (For those not in the know, a coatimundi is a racoon-esque mammal with a ring-tale.) 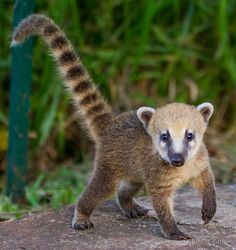 This particular coati was among the more exotic animals in the procession that included a camel, cow, horse, kangaroo, goats, hawks, owls, a huge tortoise aboard a rolling dolly, a peacock, rabbits, a fox and other birds and beasts.. 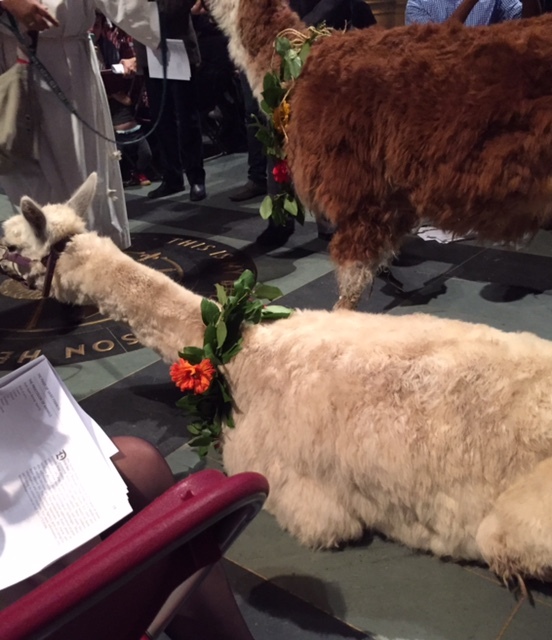 The highlight, though probably not for her or her handlers, was when Peggy, a white llama, lay down in the aisle next to our seats and would not be budged. Finally, when the procession traversed back up the aisle and a cow almost tripped on her, Peggy arose and agreed to depart. Clearly, she had other plans for the day. In addition to the regular service and the animals there were dancers, puppets, music set to sounds of the tundra wolf, humpback whale, harp seal and more. Churches all over bless animals in honor of St. Francis but none does it in more style than St. John’s. Get out that can opener! In a large heavy pot or Dutch oven heat oil over medium-high heat. Add onion, bell peppers, and garlic; sauté 5 minutes or until tender. Add sugar and remaining ingredients, and bring to a boil. 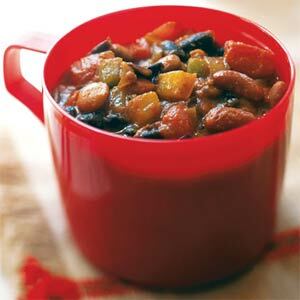 Reduce heat, and simmer 30 minutes. Serve in mugs or bowls with a salad, bread, taco chips or what you will. Be sure there’s water in your pet’s bowl. For you, a glass of wine. This entry was posted in Uncategorized and tagged animals, chili, cow, New York. Bookmark the permalink. Great post, M. Next year, will have to try and make it. One hopes the kitties got the blue ribbon and are feeling beatific. blog. Keep them coming. I hope to see you one of these days! Have been trying to locate you. Think email I have is way outdated. Get in touch! Have always wanted to go to one of these. Nice report.